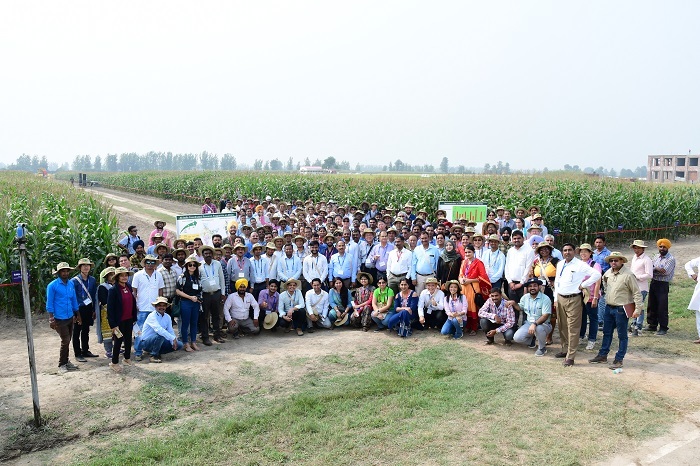 International experts on maize have gathered in Ludhiana, Punjab, India, for the 13th Asian Maize Conference and Expert Consultation on Maize for Food, Feed, Nutrition and Environmental Security. The conference, being held from October 8-10, 2018, has attracted over 280 participants from 20 countries. The delegates come from a broad range of stakeholders, including researchers, policy makers, seed companies, service providers, innovative farmers, and representatives of several development organizations and funding agencies. B.M. 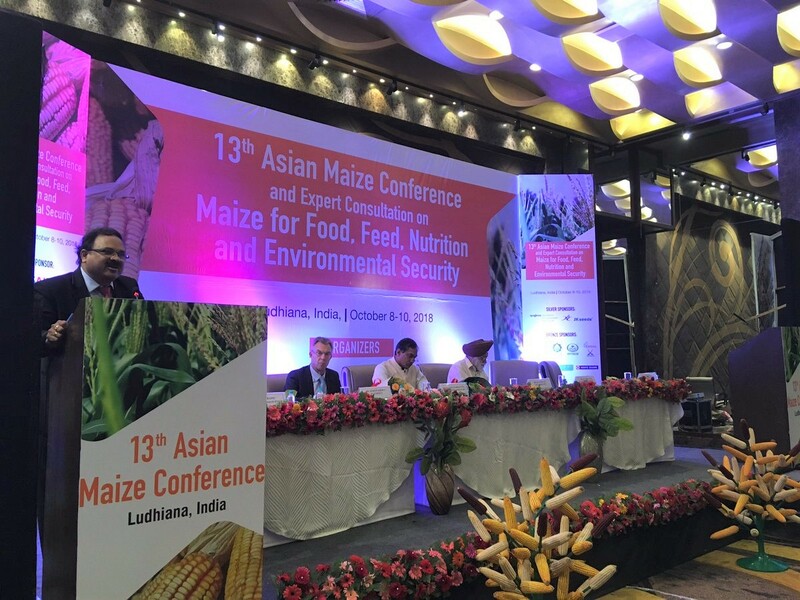 Prasanna gives the opening address of the 13th Asian Maize Conference. Photo: Jennifer Johnson. In the opening ceremony on October 8, B.M. 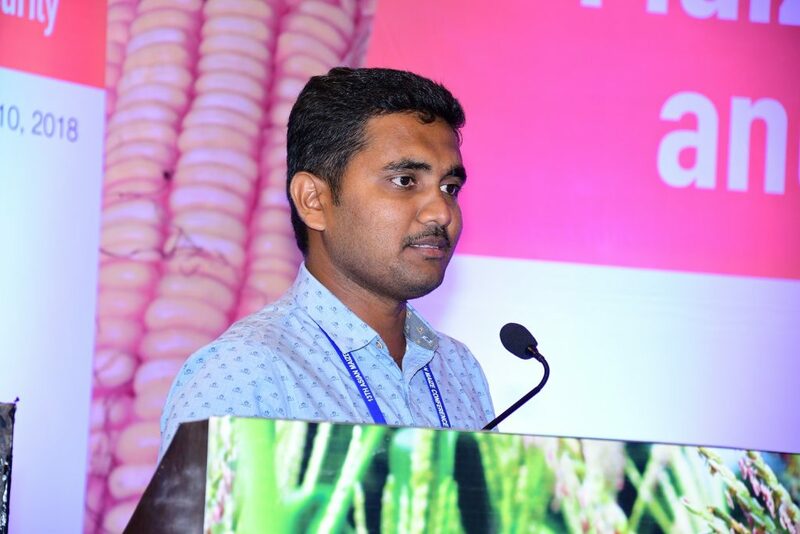 Prasanna, the Director of the Global Maize Program at the International Maize and Wheat Improvement Center (CIMMYT) and the CGIAR Research Program on Maize (MAIZE), discussed the current situation of maize in Asia as well as the themes of the conference. A diverse range of relevant topics will be covered, from breeding for climate resilience in maize based systems and climate-smart agriculture to socioeconomics for greater impact. “Gender and social inclusion is an important issue not only for Asia, but for the entire world. Women play a very important role in our farming systems, but women’s access to improved inputs such as seed is very low. 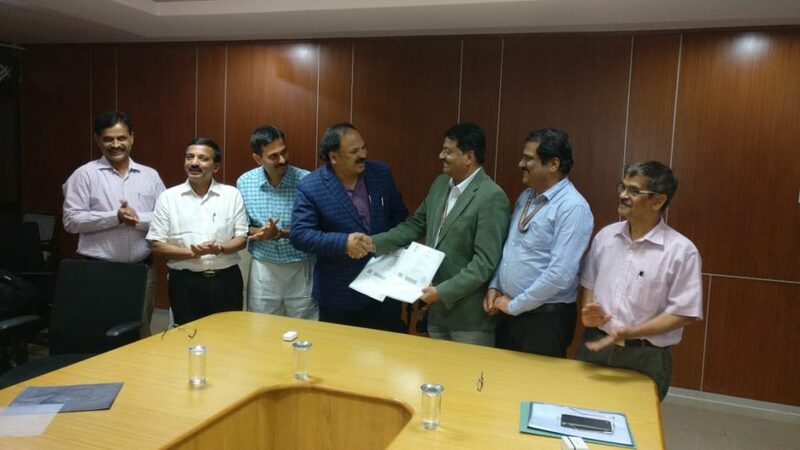 All communities, regardless of caste or creed, need access to these inputs,” he said. The need for scale appropriate mechanization and the importance of public private partnerships will also be discussed.